Words cannot communicate my excitement! This is the news I was alluding to here. Authors include Spur Award winner Johnny D Boggs, Spur Award winner Troy D. Smith, James Reasoner, Alex Award winner Mel Odom, Anthony Award winner Bill Crider, Matthew Baugh, Tim Lasiuta, Joe Gentile, Paul Kupperberg, Denny O’Neil, Kent Conwell, David McDonald, Thom Brannon, Troy D. Smith, Chick Dixon, and Richard Dean Starr. This entry was posted in Writing and tagged anthology, short story, writing on November 15, 2011 by David. 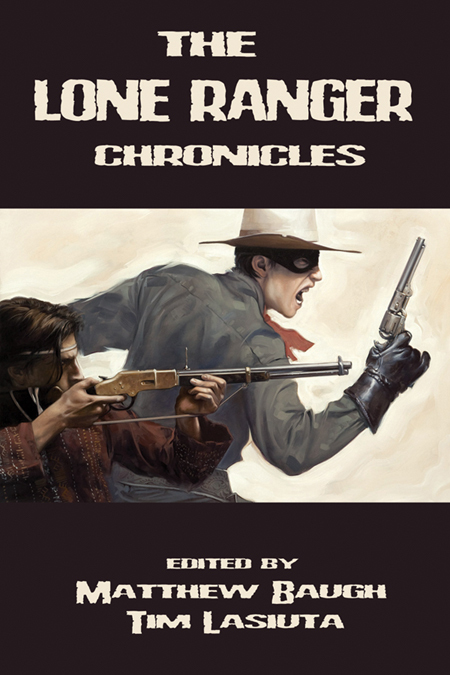 I know very little about the Lone Ranger, but I’m totally buying this! I’ve read the work of some of these writers and the stories will be awesome! Thanks, Bobbie! It’s a great anthology to be part of, I am very excited. Awesome! Congratulations. When I was a kid, my dad had an old (vinyl) record of Lone Ranger stories and we would listen to it all the time.